GAZA — A ceasefire between Israel and Gaza militant groups appeared to be holding on Sunday, ending the most intensive flare-up in violence around the Palestinian enclave since a 2014 war. Israeli Prime Minister Benjamin Netanyahu said Saturday's attacks targeted Gaza's dominant Hamas Islamists, whom Israel accuses of stoking violence with the "Great March of Return" demonstrations, which have included attempts to breach Israel's border fence. Netanyahu has faced public pressure to take action against the launching of incendiary kites and balloons from Gaza that have burned crops and scrubland in southern Israel. 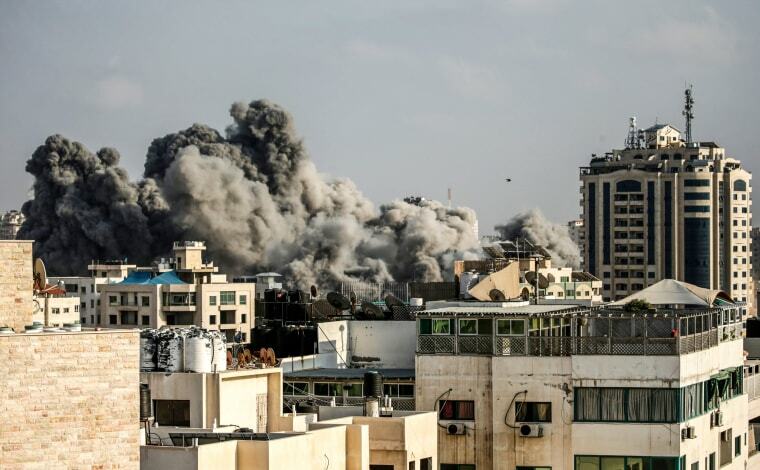 Israel's Intelligence Minister Israel Katz said the air strikes were meant to put an end to such attacks but should not be seen as the start of a military campaign against the Palestinian territory of 2 million, devastated by seven weeks of war with Israel four years ago. Netanyahu also said on Sunday that he discussed Syria and Iran with President Donald Trump ahead of the latter's meeting with Russian President Vladimir Putin. In remarks to the Israeli cabinet, Netanyahu said he spoke by phone on Saturday with Trump and that the president reiterated his commitment to Israel. In Helsinki on Monday, Trump will meet Putin, Damascus' big-power backer and a regular interlocutor with Tehran. A father and son were killed in an explosion in a building in Gaza on Sunday. But no blame was cast on Israel and police said they had launched an investigation into the cause of the blast.